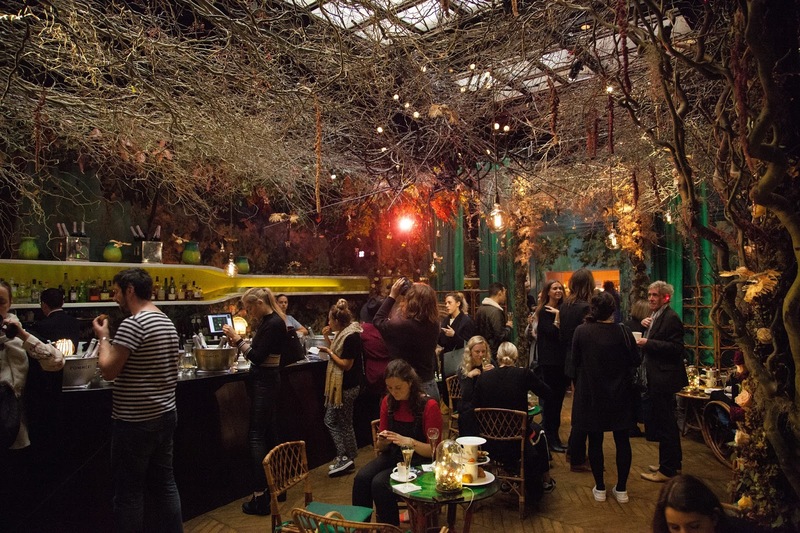 Food, drink, art and music venue, Sketch, is undoubtedly one of the most beautifully quirky, extravagant places to visit in London. Their Christmas “do” was no exception to their usual spectacular show. Upon opening the front door you feel as though you are stumbling into Narnia; though the hustle and bustle of Oxford Street is just a few feet away, you could be in another world. Crafted by florists and designers Carly Rodgers, Tony Marklew and Melissa Richardson, the moment you step foot in the door you are greeted by a magical archway of snow-coated evergreens before even hanging up your coat! ‘The Night before Christmas’ breakfast was held in the two Michelin star ‘Library and Lecture’ room. 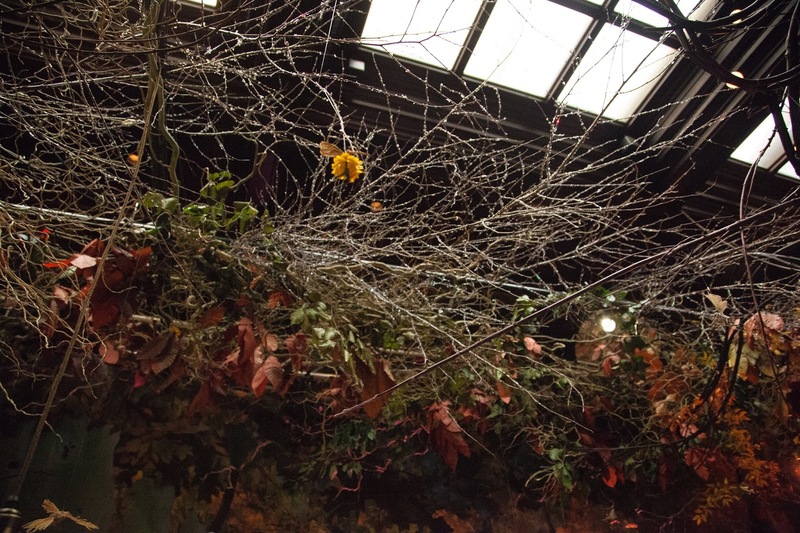 In addition to the stunning art work lining the walls of the Library, glinting, golden lights jewel the winding branches that cover the ceiling emulating the lining of a dense, overgrown fantasy forest. 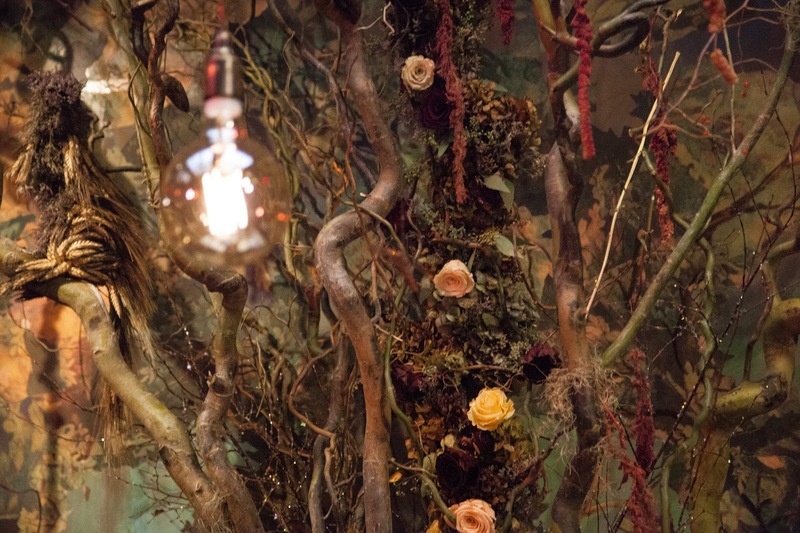 Swinging from the foliage are delicately crafted miniature fairy figures, these can also be seen encapsulated in twinkling glass jars around the room. 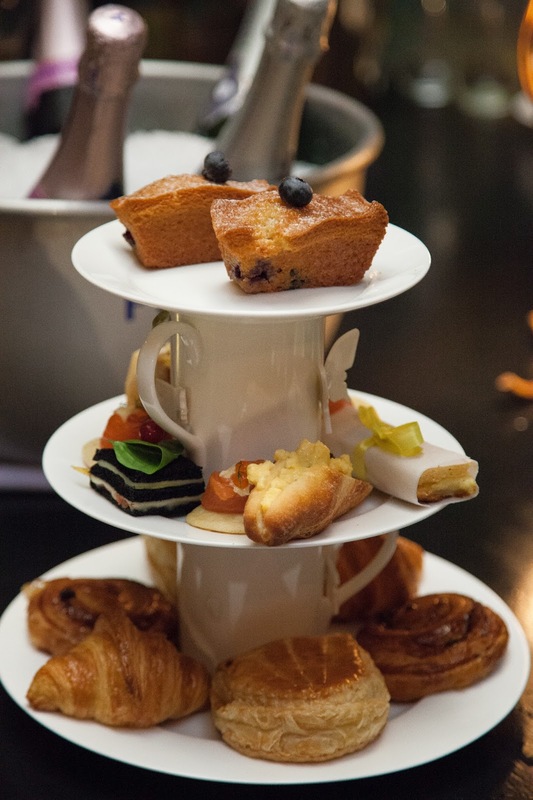 Buckets of champagne on ice, fresh juice and an ever-flowing supply of hot drinks, compliment the stands of delicately crafted pastries, cakes and petit-fours that fill every polished oak surface. Sketch cater for every dietary preference; vegan cakes, gluten free pastries, choices of dairy free milks – everyone can enjoy the festive treats in abundance. After a splendid start to the day including, perhaps, one to many glasses of champagne for 10am, we reluctantly left the enchanting world of Sketch and put our feet back on the pavement of Conduit Street. 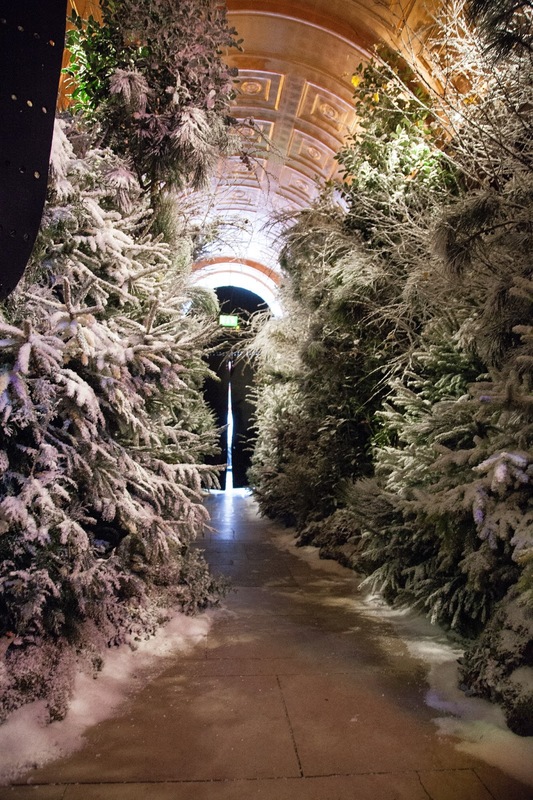 An incredible venue that never ceases to amaze and definitely doesn’t do anything by halves; the magical, fantasy world of Sketch’s ‘Night before Christmas’ will be open until the 6th January.